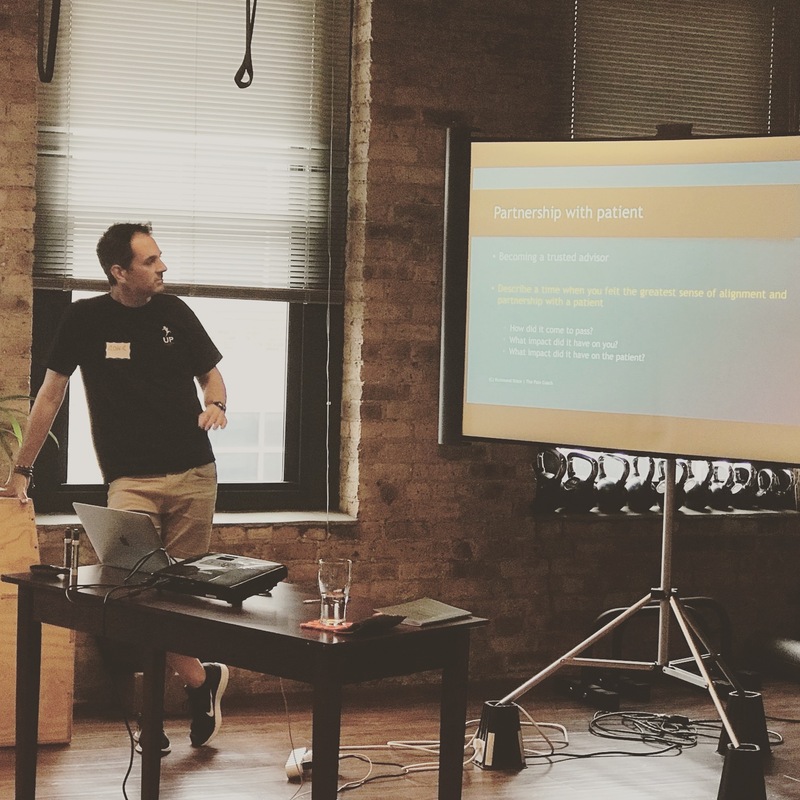 The Understand Pain Talks and Workshops are our way of getting out into communities and listening to people: the voices of society. A suffering society. At UP, our purpose is to contribute to society by showing people practical ways of reducing their suffering by living their best lives. On Wednesday 22nd May, Richmond will be talking and running an UP workshop in New Malden. This event is free, although we always welcome donations to fund our going work. Touch wood things are going pretty well. Training is totalling 70-80 km per week with 1-2 longer runs, interspersed with shorter dashes and trundles. As a trainer friend said to me once, ‘Just get to the start line without an injury and you’ll be ok’. There is some truth in this of course, but with the Brighton Marathon coming up soon, followed by the two ultras in May and July, the mileage is key. If you’re interested in running, the following section outlines my plan. Feel free to skip on! Last week I set myself a plan to run 1 x 30 km and 4 x 10 km, totalling 70 km. It felt good and was easily slotted into the working week. This week I am practicing two longer runs back to back and will continue with this trend. Today was just over 22 km and tomorrow I will do a minimum of 30 km on slightly tired legs. Either side will be a few 10 km runs when I try to push the pace. 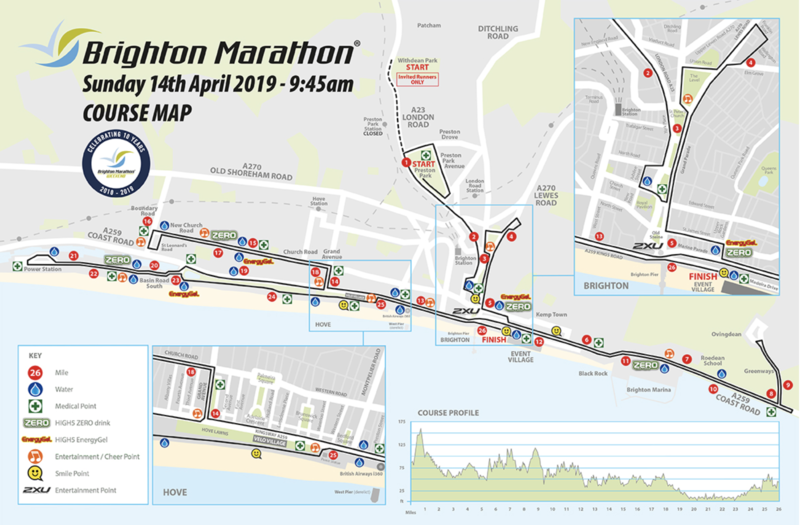 There are 5 weeks until the Brighton Marathon (Sun 14th April). The last week or so will be tapering and fuelling. Prior experience of ‘the week before’ tells me that I need a good plan. This includes plenty of mindful practice, imagery, easy movements, eating well and rest. I have found it to be a twitchy time with a unique restlessness of mind-body. This will be a good test. 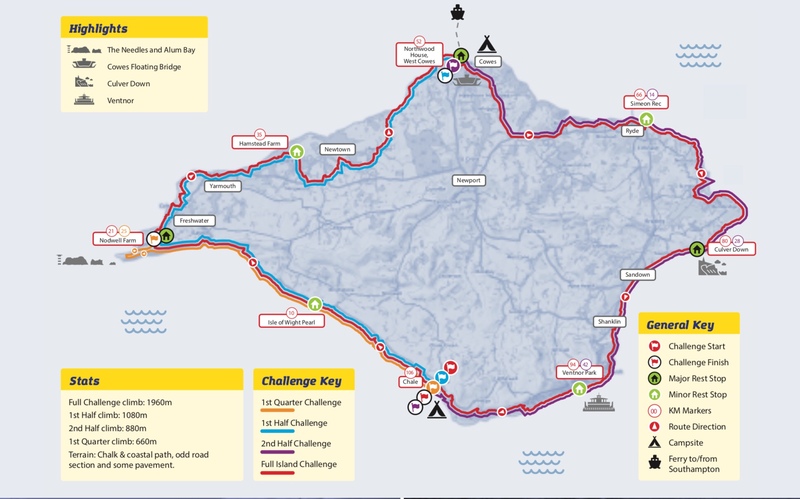 Soon afterwards comes the Isle of Wight Challenge. 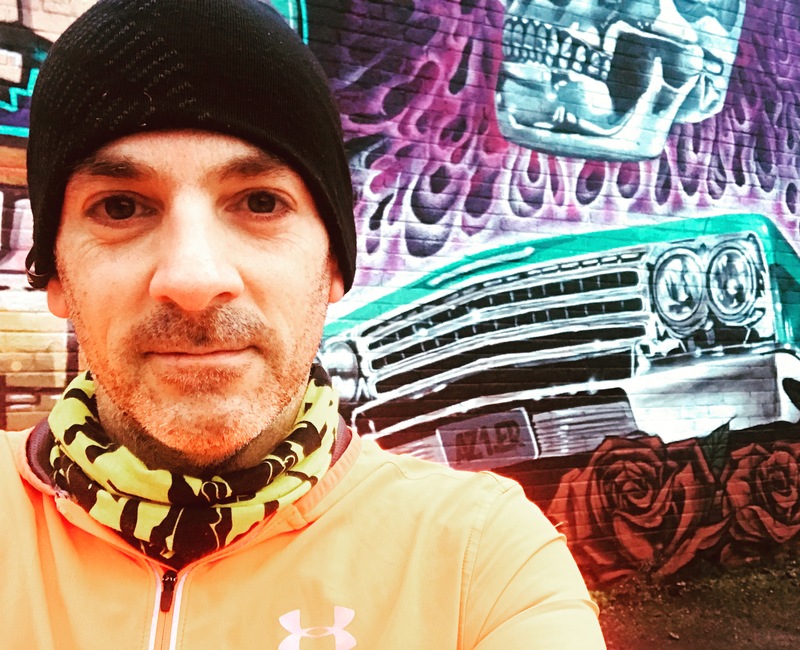 There will be a few weeks of continued training with back to back longer runs and again the tapering a week or two before the 2-day event at the start of May. A longer gap before Race To The Stones (July) means resuming the mileage in warmer weather. One of the pluses of these ultras is the scenery. I have been to the Isle of Wight and enjoyed the spectacular views from certain well known spots. The Challenge allows for the experience of the complete tour! That excites me. 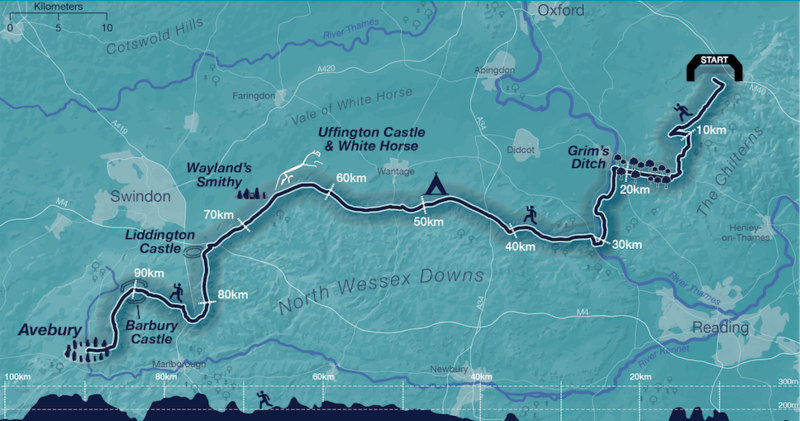 As does the route from The Chilterns, across the top of the North Wessex Downs, along the ancient path–5000 years! The Brighton Marathon #upandrun is a joint project, UP and CRPS UK. The money we raise through sponsorship, the quiz night (details soon), auction and raffle will support our on-going work to make a contribution to people’s lives and to encourage society to revise the understanding of pain. Further, look out for the run of UP workshops. The aim is to offer these across the UK if we can raise sufficient funds. You can support us << here >> . If you suffer chronic pain or know someone who does, you’ll understand the importance of this project. If you are suffering chronic pain, here are 5 tips to maximise your festive spirits and joy. You can decide upon your approach and give it your best by following some simple principles. What is your picture of success? How do you want Christmas to be? What can you focus on that would make it memorable for the right reasons? The questions we ask ourselves, we will always answer. So, make sure you come up with ones that self-encourage, helping you to focus on what you want, rather than what you do not want. Make a plan each day, prioritising the key moments, punctuating them with rest and recovery time. You can share your plan with those you’ll be sharing the day with so that everyone is on board. Of course, the best plans do not always turn out the way we want, so we need to be flexible. However, if we try to stick to it in the best way that we can, often made easier by writing it down, then we are doing all that we can to be successful. This is a way of nourishing your body (tissues — muscles, joints, tendons etc.). The key is to be consistent through the day. In essence, the movement is ‘pumping’ blood and hence oxygen into the tissues as well as removing the build up of toxins (that cause sensitivity). The brain is embodied, and needs movement to survive — the brain needs a body. Pretty much everything that we do requires movement. Anything that gets in the way of the movements necessary to meet our needs will raise the perceived threat value. As many readers will know, pain is well-related to perception of threat and the state of the person, and poorly related to the tissue state. Move to groove >>> any movement is a good movement! A simple way of using ‘motion is lotion’ is to move and change position every 15-20 minutes, and then stand up and move around every 40-60 minutes. These are ball-park figures and it is important to work out your own need for movement. Further, you may like to use prompts and reminders until this becomes a habit. As often as you can remember (use reminders for this as well), stop and pay attention to three full breaths. Notice the moment when you first breathe in, the sensations in your body, and as you breathe out, the sense of letting go. Attention is one of the skills of being well. A famous study was entitled, ‘the wandering mind is an unhappy mind’; in other words, the more we can pay attention to what is really happening, the happier we feel. Paying attention to your breath is a simple way to develop this skill. Notice how you relax and muscles ‘let go’ as you breathe out. This is because on the out-breath, the parasympathetic nervous system is more active. This branch of the autonomic nervous system is responsible for all the important healthy functions behind the scenes: digestion, sleep, energy, anti-inflammatory activity and more. We have no direct access to our biology. It is in the dark, so to speak. However, there are one or two things we can choose to take control over to an extent. Breathing is one, with all the benefits that come with the innumerable practices that have been ‘breathed’ over the centuries. A further use of the 3 breaths is when you feel tense, pain, frustrated, angry, upset or any other emotional state. Notice how when you pay attention to the breath, those feelings ease. This is because you have stopped fuelling them with the thoughts. We need each other. We are design to connect and share and be generous. Have you noticed how your feelings change when you do something for someone else, no matter how small or insignificant that it may be? In fact, it is the little things, consistently, that make the difference, especially in a relationship. How great does it feel to be with people who care about you, and you care about? Notice how that feeling builds when you pay attention to it (re-read the bit on attention above if necessary). Become aware of those great feelings and sensations in your body when you merely think about a special person. Even when you don’t know the person you are encountering, can you make the connection meaningful by passing the time of day, and smiling? Of course you can! This can become the way you do it; your style. Watch other people interact, share and be kind to each other. You will change state and feel it. Pay extension. One way of connecting is by touch. Again, by design we have a system dedicated to light touch that is a direct way of soothing another, showing care and concern and evoking a healthy biological response. This is also a simple way for a partner to share a moment with you. The key to feeling the effects, is to be present. This is the only moment, right now…it’s gone, and here is another…gone, and so on. Being present means that you can pay attention to what is actually happening, rather than being embroiled in the mind’s wanderings. To be present is also a skill to practice. Notice what happens when you bring on a gentle smile. A soft upturn of the corners of your mouth. You can choose to tie this in with the now well-known practice of gratitude. The (biological) state of gratitude is one of the healthiest and an ‘antidote’ to suffering states. Before the practice, it is important to acknowledge that all states are normal and part of the spectrum of feeling states. We need all of these states of course, as they communicate a need. What are my needs right now? This is a great thinking tool, as you step back from being caught up in it all, and realise what it is that you need to do in this moment: move, breathe, eat, re-frame a thought etc. What are my needs right now? To practice gratitude is to become aware of something in your life that you are grateful for. There are many things that we can chose. Of course, whether they become apparent depends on your mood. A handy mantra here is: for a good mood be grateful, in a bad mood be graceful. Practice: think of a moment in your life when you felt truly grateful for something. Focus your full attention on this memory, re-living it using all your senses, noticing which senses amplify the feelings. Is it the sights, the sounds, the feel? As you continue to focus on the feelings as they arise in your body, notice how they build. Moment to moment noticing of things to be grateful for and those that bring you joy is a practice; a skill. For instance, you can decide to approach the day by looking out for things that make you laugh or smile. Then you practice. The fact of the matter is simple in principle. The challenge is to keep focused and pay attention to what is really happening in the face of the many distractions. It is to realise that we live out a story that can appear to have been written for us. There’s some truth here in as much as we are fed beliefs from a young age, many of which are wrong, yet can limit us as we grow. Realising that you do not have to continue with the same story if it is full of suffering, is the first step to moving onward. Many don’t realise their potential, feeling that somehow, this is it. Not true. Is it time for a new story for you? What will be your story from now? And so, what will be your approach? How are you going to do Christmas? How are you going to do life? What is your picture of success? What principles must you follow each day to get those little wins on the way forward? Make a plan, get the right support and encouragement around you, and go for it. Each person is a miracle when you think about how we came into existence and how we are designed to grow and serve a purpose.